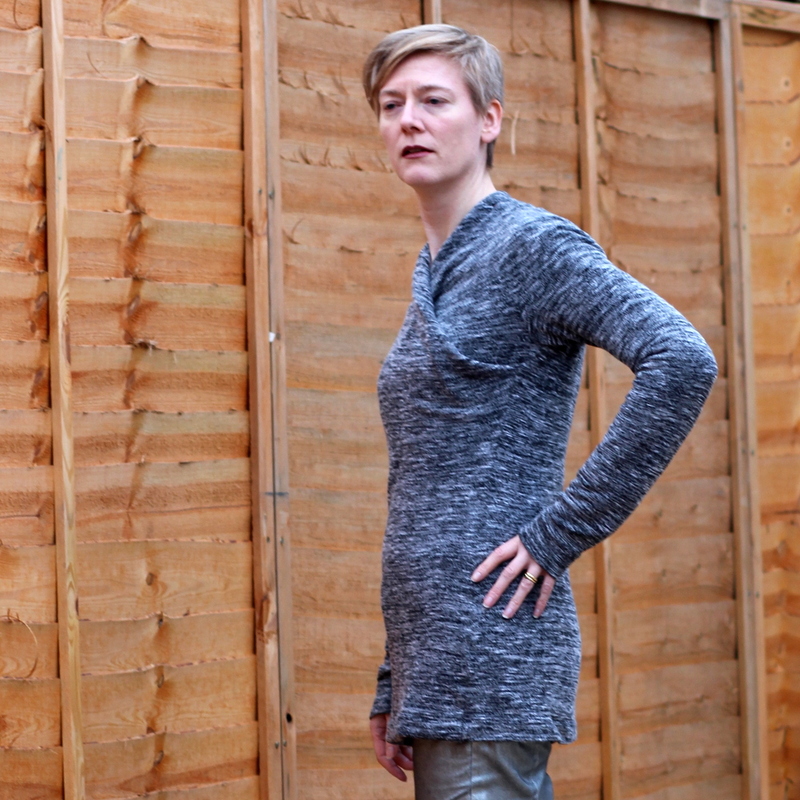 Posted on December 1, 2018 November 29, 2018 by catherinedaze	This entry was posted in burda, dressmaking, Finished, grey, sewing and tagged burda, dressmaking, knit top, sewing, top. Bookmark the permalink. Congrats on winning the battle with a difficult fabric to end up with a lovely looking sweater. cool jumper- sounds like the fabric behaved rather like the evil [but gorgeous] green/grey/black stripe I used for the Style Arc ‘Nina’. There’s some odd stuff going on inside THAT one, believe me! 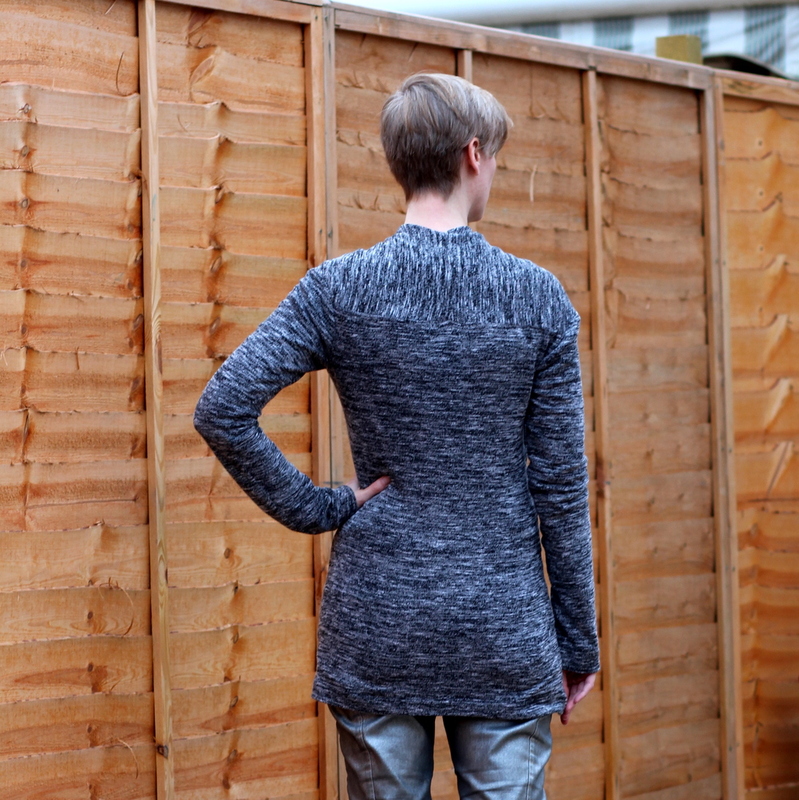 I rarely attempt knits on the sewing machine, it was something that always defeated me in the past, and why I ignored knits until I got my overlocker. I occasionally do a bit of topstitching round a neckband, or a hem, or a sharp corner, that’s it. My stripey knit did need ‘locking though, it frayed like a bugger! I’ve used this pattern too! I wasn’t sure where exactly the wrap should lie and like you went for the above the bust cross-over. The Burda photo seems to show the cross-over in a lower position. 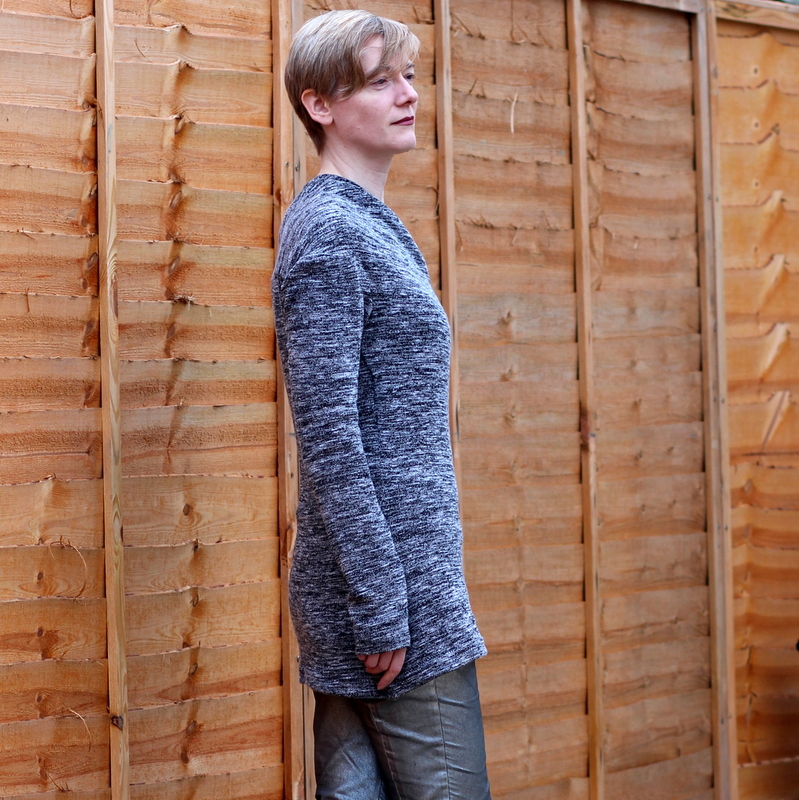 The fabric looks great, but some of these loose floppy knits can be a right pain. I used a tissue knit once that twisted and stretched in weird ways, that t-shirt still looks a weird shape when I pull it out the wash, more like a triangle! Well done for persevering with the fabric – it looks fabulous. In spite of the Pathological fabric, your top looks good! I like the higher wrap. 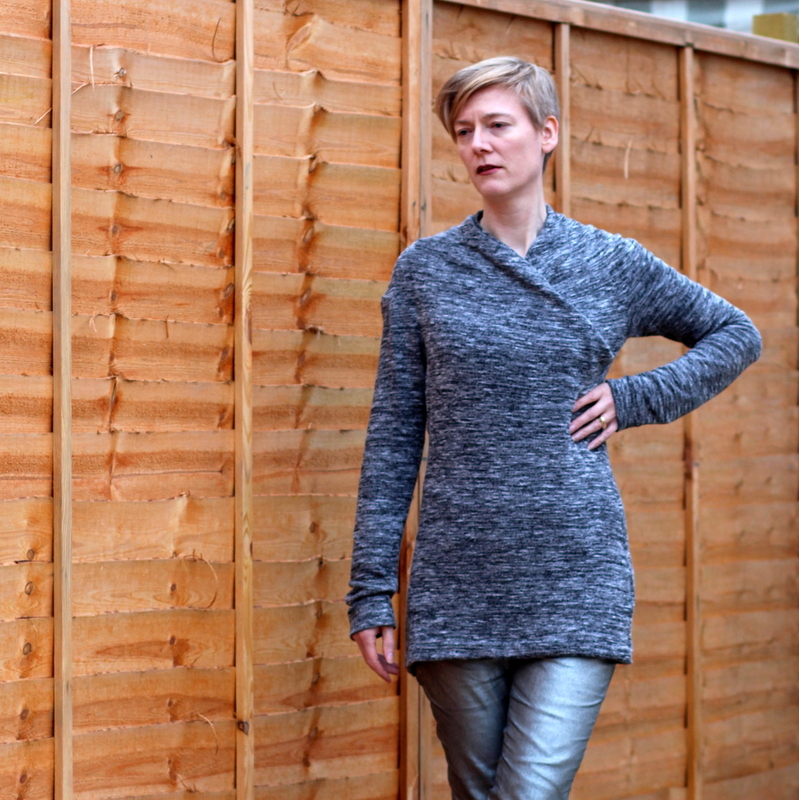 I feel like the last two knit projects I made also had somewhat pathological fabrics – so I totally feel you on wanting a nice stable fabric to sew with next. Despite the struggles, your top looks fantastic and super comfy! I’m sure you will get a lot of wear from it, it looks like a great top to have in the wardrobe. Tell no-one (else!) about the troubles making this and all you will get us compliments. It looks really good! laughing…I think I’ve had your fabric’s cousin at least once. Your top is great, love the silhouette on you.